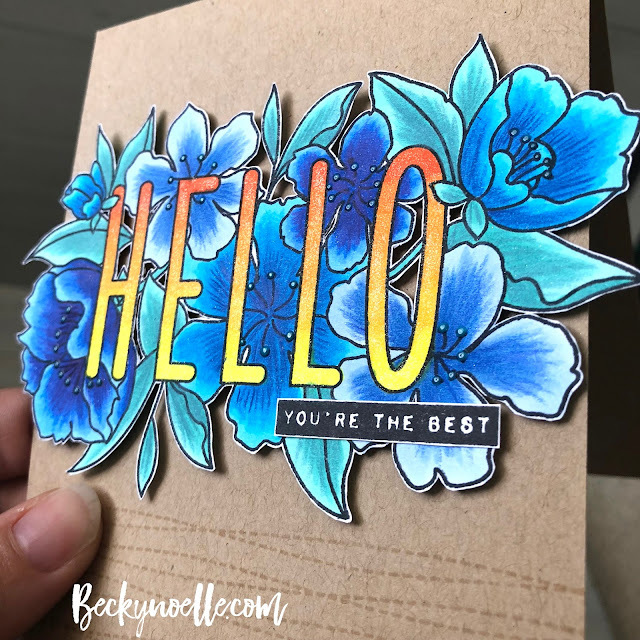 I've got a super bright and flowery card today! so much fussy cutting! 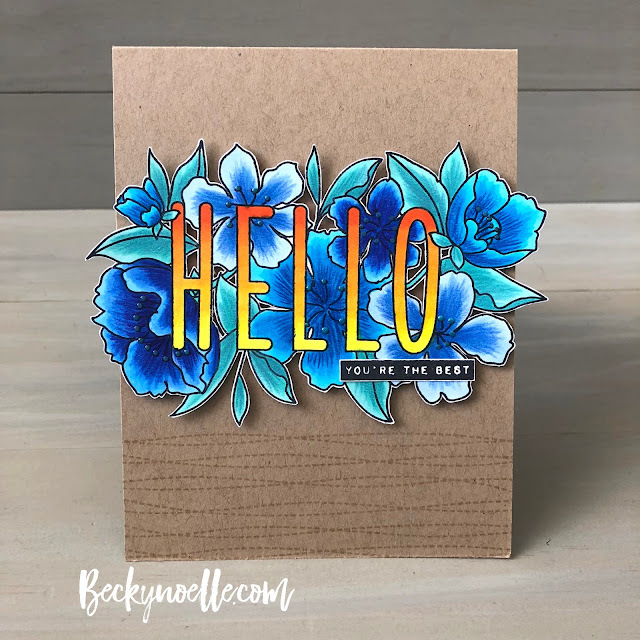 Unfortunately I decided to fussy cut everything out after I had added the wink of stella shimmer to the Hello so when I was holding it to cut it all out I transferred some of the shimmer to the flowers. boo. Other than that I'm really happy with how this one turned out!